Open Office Spaces May Be “the Worst,” Now What? Thank you CBS Sunday Morning’s Faith Salie for your commentary, “An Open Secret: Open Office Plans Are the Worst.” The segment was important because it reported the results of a Harvard Business School study that, because it was released over the summer, didn’t get as much coverage as it should have given what it found–open office workspaces (as currently implemented) don’t achieve the promised gains in collaboration and interaction. Setting alarms to get up an hour or two earlier in order to get focused work done before going into the office. Engaging in an ongoing complex, and often unsuccessful, rule-setting process that tried to clarify norms of behavior that would satisfy everyone’s preferred work style. For example, if you want to discuss an issue with more than one person for longer than 15 minutes, take it to a “collaborative workspace” (which was either booked by another group, or occupied by someone who didn’t want to hear your discussion). Milling hoards in the elevator banks or hallways quietly talking into their phones often with their hands cupped over their mouths. Even standing up and sharing in a meeting that because they are more introverted and could get nothing done in the new open office they were considering filing an Americans with Disabilities Act claim (true story!). Not particularly positive, collaborative behavior. However, as the segment also points out, open offices allow organizations to put more people in the same or less space. It saves money. Which is why, while I agree open workspaces are not optimal the way they are currently implemented, they aren’t going away. So, what do we do now, especially since early indications are that the newest members of the workforce, Gen-Z, may prefer more privacy at work than their supposedly open office-friendly Millennial colleagues? Start by agreeing that organizations aren’t completely off-base to rethink workspace. We often hear from clients that their space utilization analysis finds a large percentage of desks unoccupied on a given day. Recently, in one case, it was 30%. It makes sense to optimize those unused offices and desks; however, the challenge is how to optimize that space without the unintended productivity and employee engagement loses offset cost savings. Answer: Instead of open workspaces, build flexible work cultures, where the type of workspace—onsite, remote, open, collaborative, private—is chosen based the task at hand. The focus is on the work, and how, when and where it is done most productively, not the space. For example, we’ve worked with companies that have retained a large portion of onsite open space but made that space just one location which people could choose to do their work. Depending upon the type of job they have and the specific task they need to complete at a particular time, people flexibly pick the optimal space within which to do it. It could be from a spot in the open office, or at another space onsite (e.g. bookable shared office or conference room or cafeteria), space in another corporate location, remotely from home, or remotely from the library or coffeeshop. What’s really popular are little onsite, phone-booth-like rooms which are essentially tiny, mobile private offices. With that extra degree of control and flexibility, the challenges of an open office are less daunting, and the collegial aspects can be appreciated and used. If private phone calls need to be made or reports completed that require unbroken attention, the employee may choose to work remotely or book a private space (assuming there are enough, which there often aren’t). However, if there’s a project that would be completed more efficiently if everyone is in the same place, a team may choose to be onsite and together in the open office. The key to success is training everyone—supervisors, teams, and individual employees—how to plan, leverage and coordinate where and when they will work most effectively. And give them to tools to support that sharing, booking and coordination. This is where most organizations fall short. In contrast, in the Harvard study, employees went from assigned cubicles to assigned seats onsite in a large open room of desks and monitors that they were expected to work in every day. This is the way many organizations transition their people to open workspaces and the result can be all of the negative outcomes listed above. Yes, open offices, as currently implemented, can be the worst; however, they probably aren’t going away. 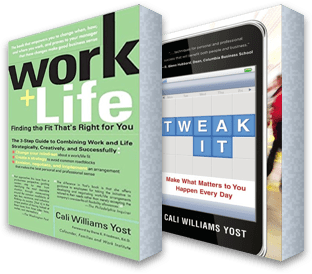 Smart employers incorporate them into a broader culture of flexibility that allows people to choose where they work best based on what they need to accomplish.